– How do you incorporate your company’s corporate sustainability and responsibility (CSR) efforts into B2B sales & customer relations? As companies are putting CSR into the heart of their business strategies and organizational culture, the work with environmental and social issues becomes an integrated part of the company’s key functions – from HR and business development to marketing and sales. There are already numerous cases of how CSR can be integrated into HR and corporate communications. But how about sales? And how about B2B sales? This complimentary webinar will give you insights & inspiration by taking you through the 5 steps of the sustainable sales process. Along the way we’ll be sharing current trends and practical examples of how companies are incorporating CSR into their value proposition to strengthen customer relations, improve revenue and gain competitive advantage. Why link your sustainability efforts with B2B sales? 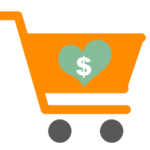 Q&A: What are you doing / can you do to incorporate CSR into your sales efforts? The webinar will be recorded and available as complimentary service for those who have registered. So make sure to sign up, even though you might not be able to attend the live session. Then join us at our miniconference “Sustainable Customer Engagement” in Copenhagen 9 November 2017. Hi Arisma, we have registered you for the webinar, so you should receive a confirmation email today. Looking forward to hosting you! Kind regards, Tania Ellis & co. Thanks for the signup Roberta - we have registered you for the webinar, so you should receive a confirmation email today. Looking forward to hosting you! Kind regards, Tania Ellis & co.